It's Easter weekend! It's almost time to put away the bunny decor. I love decorating for Easter. I love the bunnies, chicks, eggs, baskets... sigh. This year is just flying by already! Unfortunately, I didn't get to go crazy with my Easter week decorating. I've been busy working on clips for a subscription box. 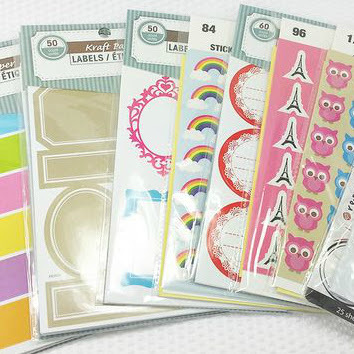 So I relied on Easter washi and task stickers this week. P.S. How cute is my coffee mug?! I found it at Walgreens I believe. The top boxes per usual are for "personal" & "family" things I need to mark down. The middle row of boxes are designated for blogging. Third row of boxes are Etsy tasks. You can see that row is pretty minimal this week since I'm only working on this subscription box. I've been marking how many clips I made that day in the box. Here's the full spread. MARCH MADNESS ANYONE?! Go KU! If you notice under my "to do" on the left I have 'decide how you will use both a5 and full size planners'. Well, I was chosen to be a part of the Limelife Planners Media & Creative Team. Therefore, I will be getting a new spiral bound planner. To be honest... 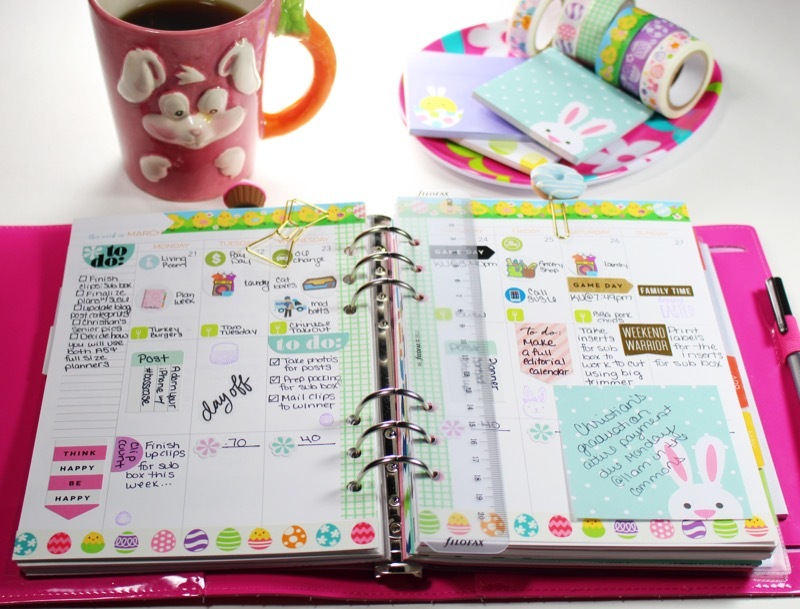 I was REALLY missing the spiral bound planner. I love the functionality and diversity of my a5, but it's so small. 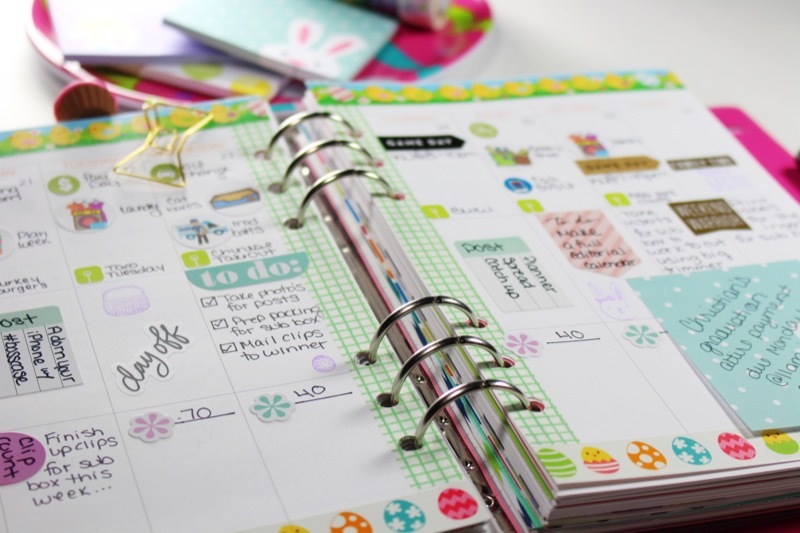 I really really missed the spiral bound full size planner. I will NOT be giving up on my a5 though. My current plan is to use the a5 for business and the full size for everything else. We'll see though. I haven't fully made up my mind. I'll share it with you when I do though! 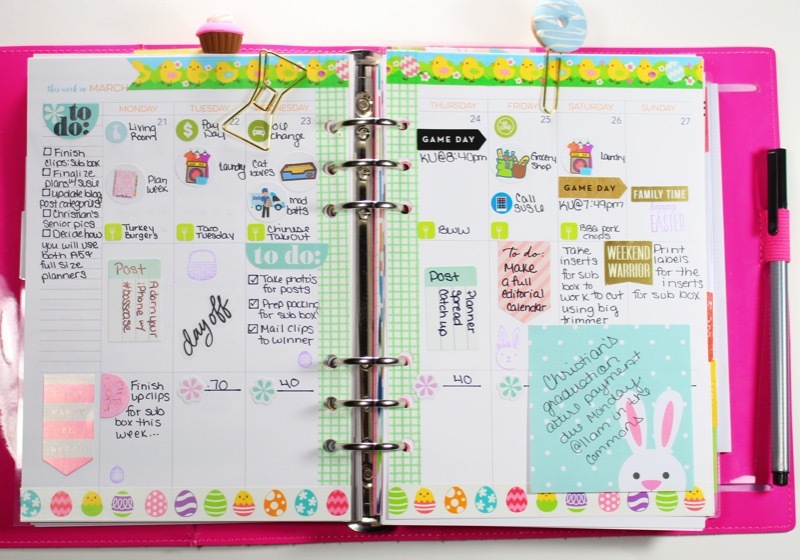 Happy Easter planner friends! Hope you have a wonderful day spent with your family and friends! Does anyone else feel like this year is flying by? March is nearing its end, and Spring is already here. 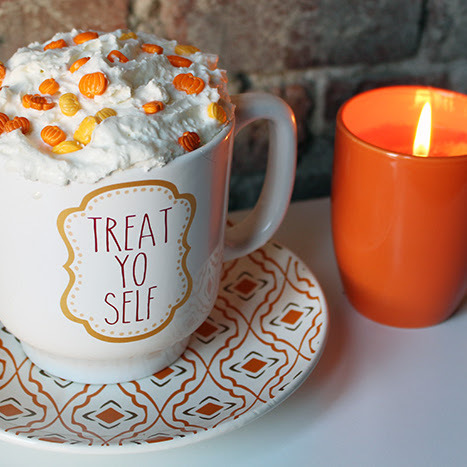 I'm super excited to share my wallpapers I found with you for March and some adorable cases! I was sent 3 cases from #bosscase for review. 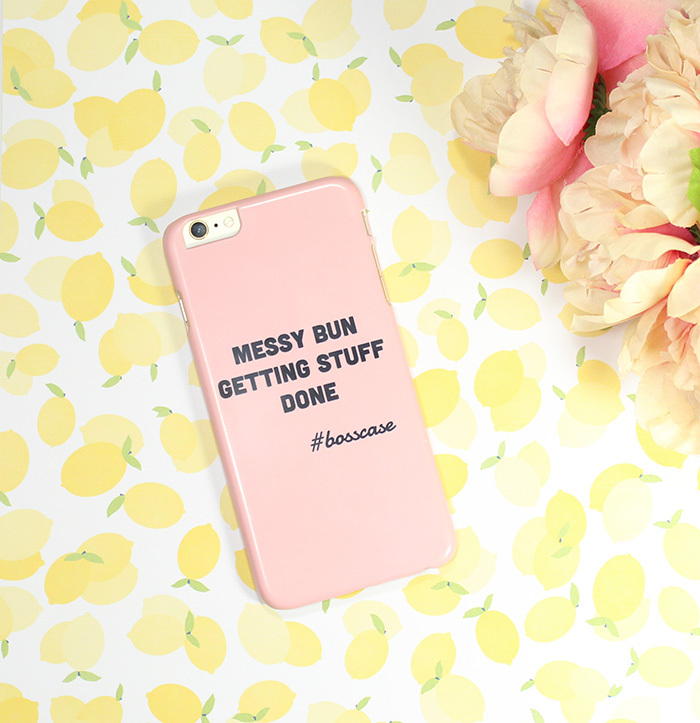 I think these cases are incredibly adorable and speak to me as a female entrepreneur. There's several quotes to choose from, these are the 3 I chose. To me "Messy bun getting stuff done" is everything! As a female entrepreneur working from home, this describes me perfectly. 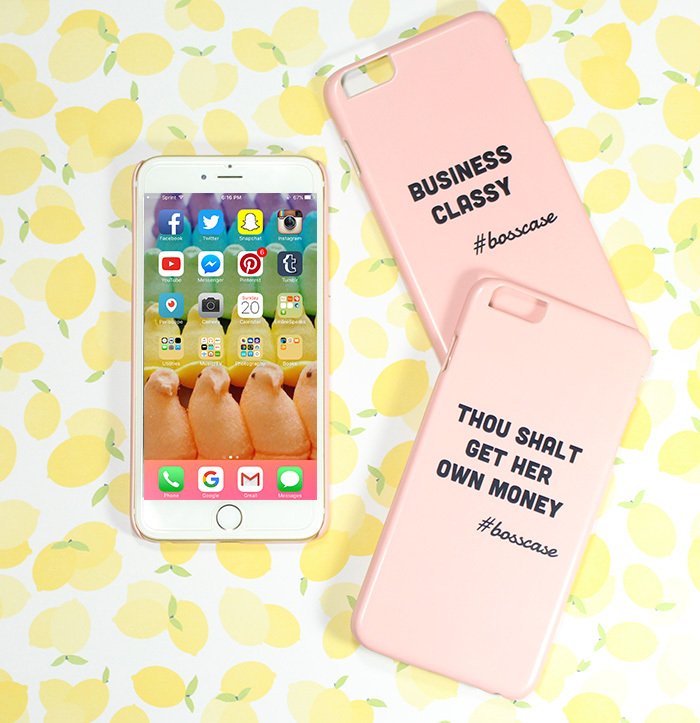 I also loved "Business Classy" to remind myself to keep it classy in this cutthroat world of Etsy & blogging. These iPhone cases start at $24.99 and are available in the pink with black text I chose, and also black with glittery gold text. You have the option of the Diva Case [pictured above] which is a standard snap on polycarbonate plastic. They also offer a CEO Case which is a 2 in 1 with a shock absorbent rubber insole. The #bosscase isn't just for iPhone! iPhone 6, iPhone 6s, iPhone 6 Plus, iPhone 6s Plus, iPhone 5, iPhone 5S and iPhone 4, iPhone 4S, iPhone 5C, Samsung Galaxy S5, Samsung Galaxy S4, and Samsung Galaxy S3, Note 5, Note 4, Note 3, Note 2. 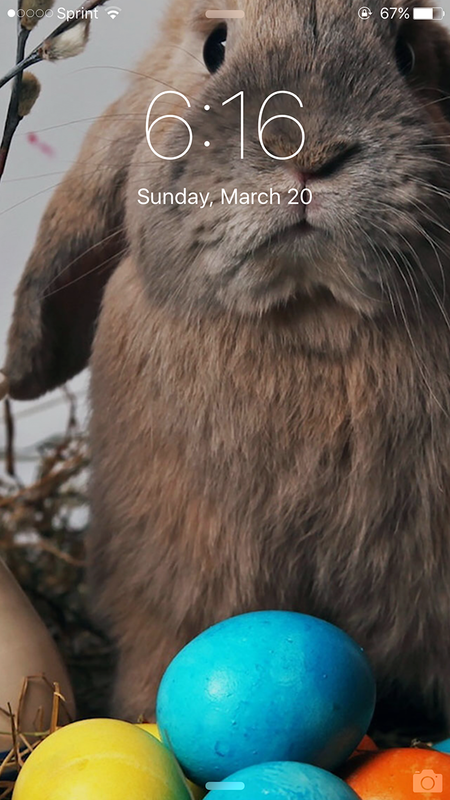 Here's what I'm sporting for Easter on my lock screen! 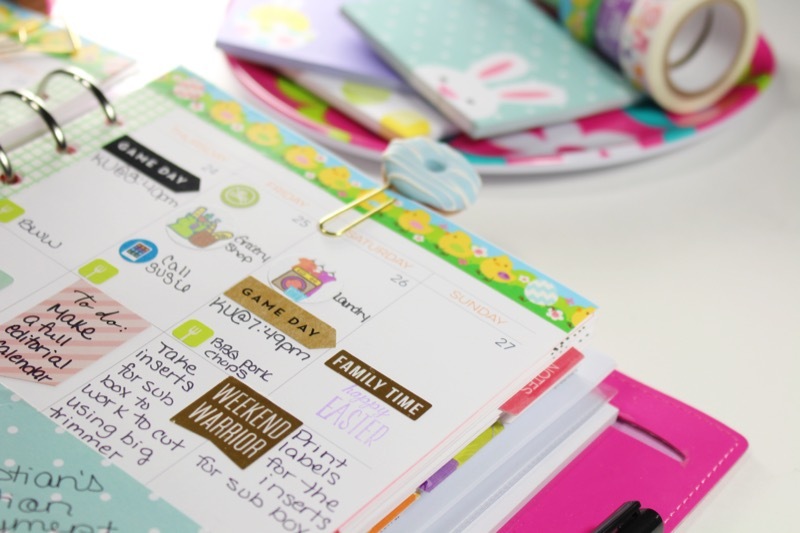 I absolutely adore the bright colored Easter eggs and the super adorable bunny. I found this wallpaper on Pinterest. You can grab yours by checking out this pin. If you're familiar with my adorn your phone series, you know I prefer "patterns" for my home screen wallpaper. I did lots of digging on Pinterest until I found the PERFECT one. How stinking cute are these Peeps!? Check out this pin to get your own! 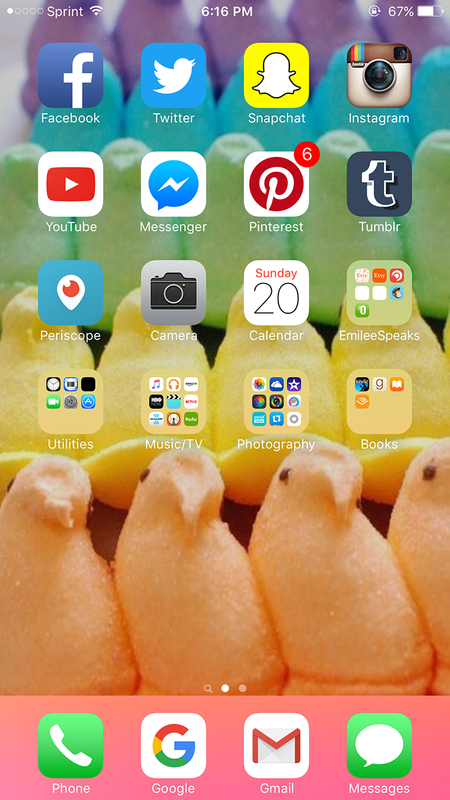 Between the adorable Easter wallpapers and fabulous pink cases, my iPhone is ready for Spring! 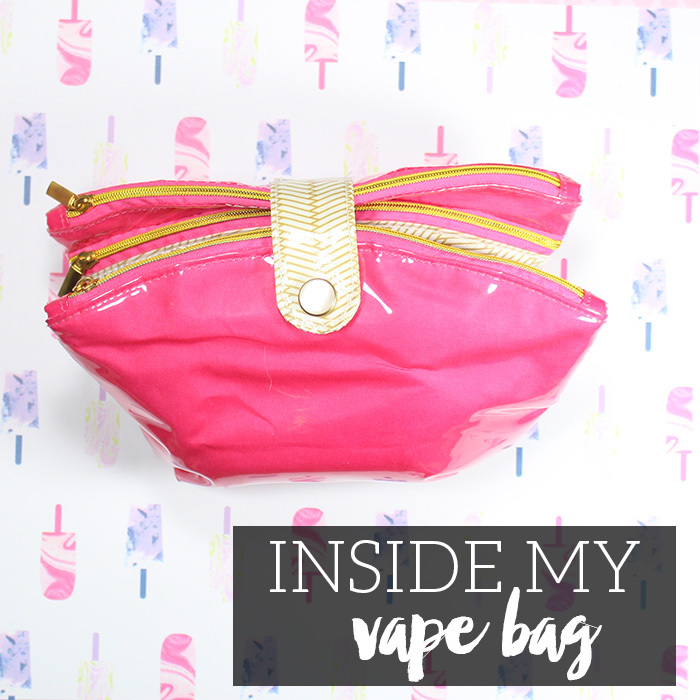 Something every vaper faces is how to bring along all your vape accessories easily. We are permitted to vape at my office job, so I carry vape stuff with me each day I work. Of course I have to have something cute and girly to do so! The front inside pockets work PERFECTLY to house my favorite eliquids. I keep a varying selection so I always have choices in flavors. Or even easily share your eliquid with friends! 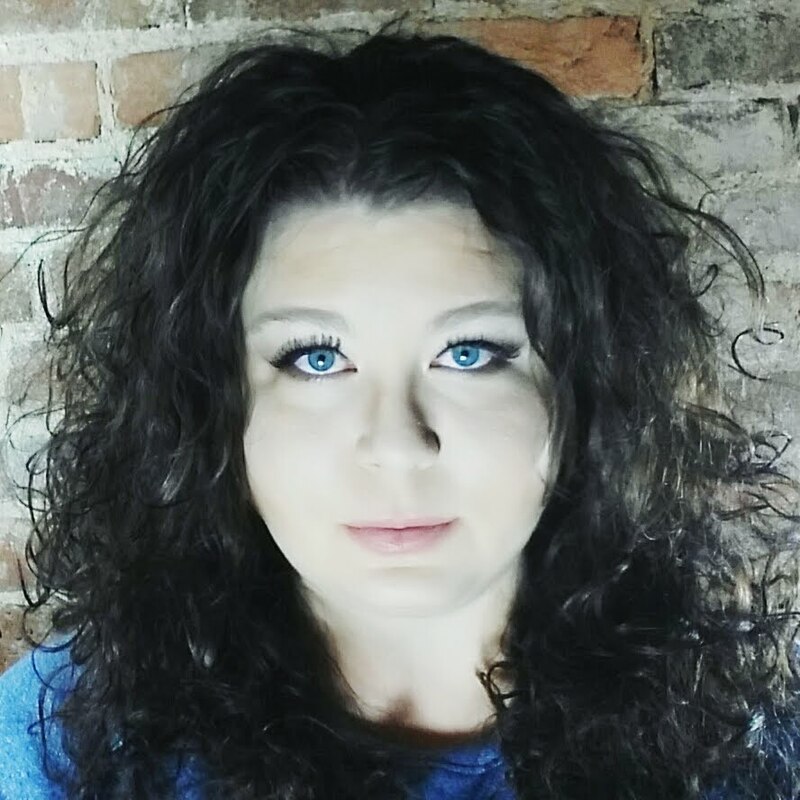 My best friend is just getting started in vaping. If I always have a variety of eliquid on me, she can try flavors to see what she likes. Behind each clear pocket is a larger pocket. In the top pocket I keep a charger and my charging cables. These are for my MVP 2.0, I have recently upgraded to the Wismec Reuleaux RX200, which I don't utilize USB charging for [and you shouldn't either]. I use a NiteCore D4 charger for my LG HG2 brownies. The final pocket houses my random accessories. Drip tips, tank bands, coils, q-tips, alcohol wipes, etc. You don't want to be away from home and have your coil burn out without an extra on you. Or have a spill/leak issue without proper cleaning supplies. I carry travel sizes of these items for ease and portability. There ya have it. That's my full "on the go" vape bag. What do you keep in your travel vape bag? I'd love to know!